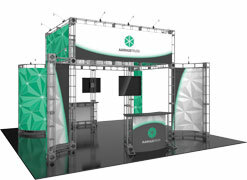 The Orbital Express™ Truss series is a collection of reconfigurable trade show exhibit backwalls and counters that feature a fixed number of parts and connectors. 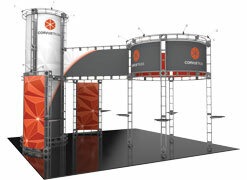 NO TOOLS are required for assembly; 20′ × 20′ and 10′ × 20′ inline kits transition into smaller size exhibits, counters and more. 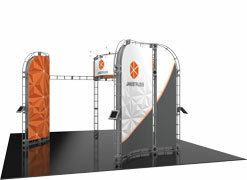 Set-up and installation of Orbital Express™ Truss exhibits, backwalls and accessories is easy — simply twist & lock. 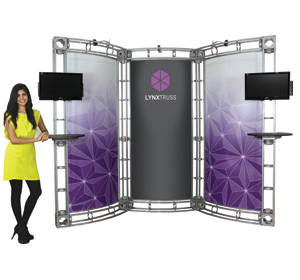 Every piece is quality crafted and manufactured in the USA. 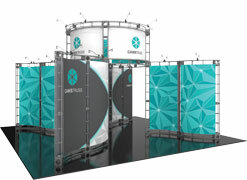 All fabric and UV-panel graphics are produced in the USA, printed on state-of-the-art, G7® color certified printers, and are finished by hand. 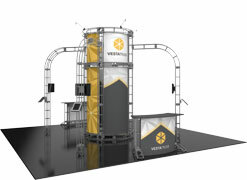 With endless designs and options to choose from you're certain to find a solution that fits your needs. 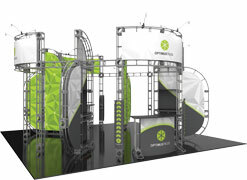 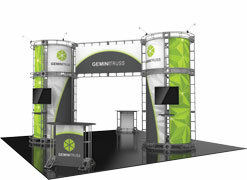 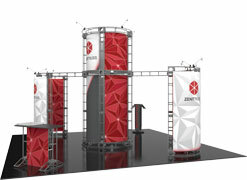 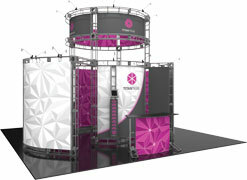 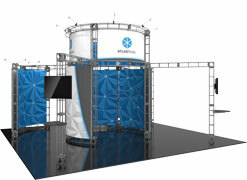 You can also easily customize your own Orbital Express™ truss exhibit and make it completely unique.